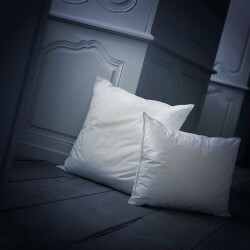 The bolster is the traditional accessory on which the French sleepers pose their head. 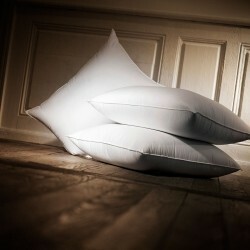 More commonly known as a polochon, the bolster comes in various qualities: the traditional feather bolster can be made out of synthetic fibers or microfibers. Whether natural or synthetic, the bolster is less frequent nowadays, so we do not offer it directly on the website, but we will be happy to make it for you on request. 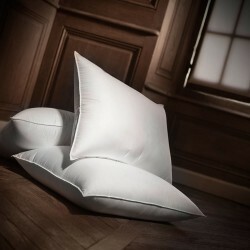 A firm bolster is recommended for people sleeping on the back. If you wish to order a feather or microfiber bolster, first of all choose a pillow pattern : natural or synthetic, choose the "Request a custom size" format option. Simply specify your size (usually the length of your mattress) and do not forget to specify "bolster" in the "additional information" box. The manufacturing time will be 10 days and we will send it to your home or in a relay point. Tailor-made products are neither taken back or exchanged. 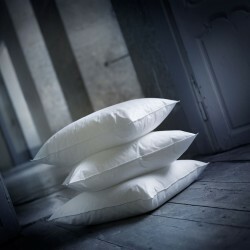 You can also request that your bolster receive the exclusive GSD® process: it is a double envelope system, with anti-mite and anti-bacterial interior lining, offering maximum protection against allergies. 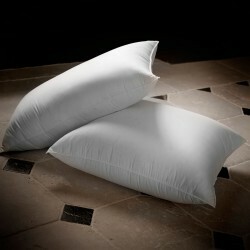 This soft pillow provides good support for the head and neck while being soft and malleable. It will be ideal for people sleeping on the back and the side.